Emergency Nurses Week kicks off today and offers a reflection of the lifesaving efforts and skill of emergency nurses who are called on to deal with catastrophic conditions, both natural and human-created, with little or no notice. 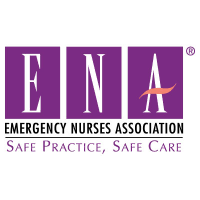 Karen Wiley MSN, RN, CEN, and president of the Emergency Nurses Association, says recent events highlight the unpredictability of the job and the exceptional need for emergency nurses. Because they will take care of patients with many different conditions and situations, emergency nurses have to stay current on the latest medical information, so they have to be willing and able to constantly reeducate themselves about new developments, treatments, and methodologies. Emergency nurses continuously hone their craft, says Wiley, and that means being able to multitask effectively, efficiently, and accurately in a high-stress situation. Emergency nursing is physically taxing, but it can also be an emotional challenge as well. Because of the very nature of an emergency room, patients don’t always survive despite the heroic efforts to save them. “Emergency nurses need to be prepared for the death of patients while not letting emotions affect their care,” says Wiley. Many hospitals have supports for their emergency room teams, especially after a trauma event, but the day-to-day exposure to death is something emergency nurses must cope with for their own job performance and their own mental health. In addition to the challenges of treating so many physical and mental health issues, emergency nurses have to be able to quickly decipher and assess patients’ needs and conditions. “Choosing which patients need the most immediate care is challenging because the number of factors that need to be taken into consideration,” says Wiley.